The GW-A toolbox will be developed around a platform i.e. a complete united suite open source spatial software for data storage and management, EO analysis and processing and for building models, maps and applications. The power of the platform lies in the vastly extensive set of core features available through the different software components (+300 functions), and which can be seamlessly combined to create customized, cost-effective and sustainable solutions for the GW-A user group. The GW-A toolbox is a complete platform of a unified set of proven and stable open source software integrated into a single graphical user interface that will enable the users to access and exploit the increasing capabilities of new and freely available satellite observations primarily from the Sentinel missions of the European Copernicus initiative. The GW-A Toolbox uses a modular software architecture framework structured around a central component controlling a number of extension components that expand its core functionality. 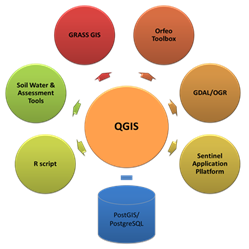 QGIS is chosen as the central integrating platform for the GW-A Toolbox, due to its clear and accessible GUI, strong development community, ease of implementing additional functionalities through Python plugins and its high level of interoperability with major GIS data formats through the use of the Geospatial Data Abstraction Library (GDAL/OGR) library. 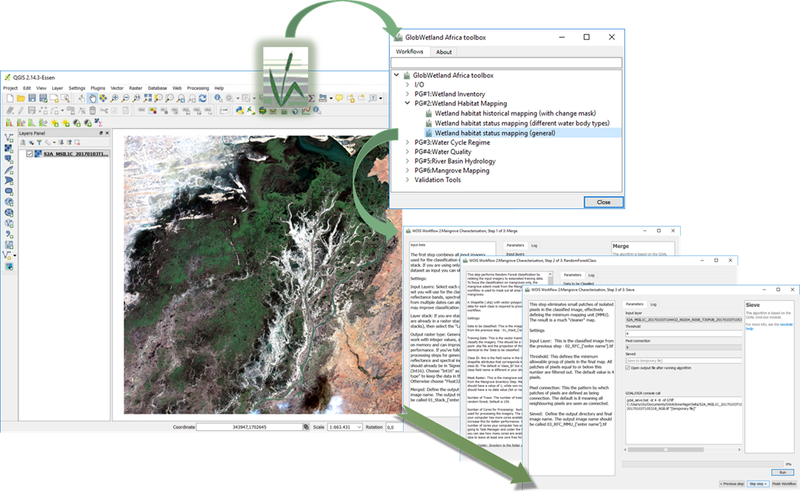 Moreover, the integrated Processing plugin, formerly known as SEXTANTE, brings the ability to incorporate geoprocessing algorithms from various external applications into QGIS. 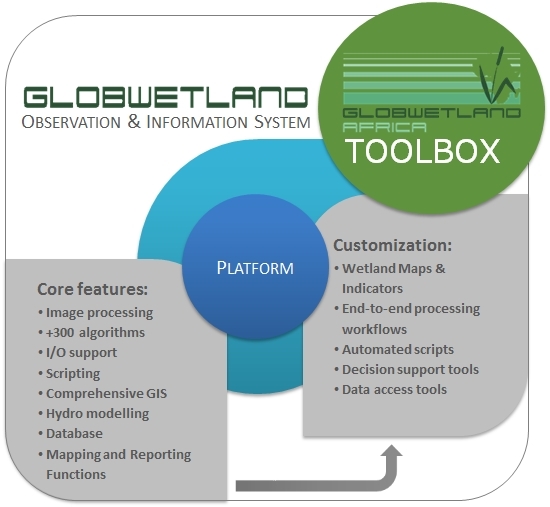 The Open source software packages providing the required functionality for the GW-A toolbox includes GRASS GIS (large toolbox of raster and vector analysis algorithms), Sentinel Application Platform (processing of visible, thermal and radar ESA data products), Orfeo Toolbox (high resolution image processing), Soil Water & Assessment Tool (hydrological modeling), R-script (advanced statistical analysis) and PostGIS (spatial database). Once the algorithms are incorporated into the Processing plugin, they can be accessed and used from within QGIS, and as a unique feature, they can be combined seamlessly into workflows, scripts and models. The workflows provide a step-by-step guidance through more complex processing tasks with the output of earlier steps being used as the input to the subsequent ones. The workflows can contain steps with tools from different algorithm providers, allowing the workflow creator to exploit the strengths of all the providers available within the Processing plugin. The Processing plugin also provides functionality to call the different algorithms inside simple Python scripts and thus to create new tools. This is useful, for example, when it comes to processing time-series data. Instead of the user having to repeat the same operation multiple times on a large number of time-series images, the script can automate the process. Saved scripts appear in the Processing toolbox along with all the other algorithms, and they are presented to the user with the standardized GUI and can be included in workflows. Finally, the Processing models can be used, similarly to scripts, for automatizing algorithm execution. However, unlike scripts, the models can be created using a drag-and-drop GUI interface thus making them easier to create and modify for non-technical users. 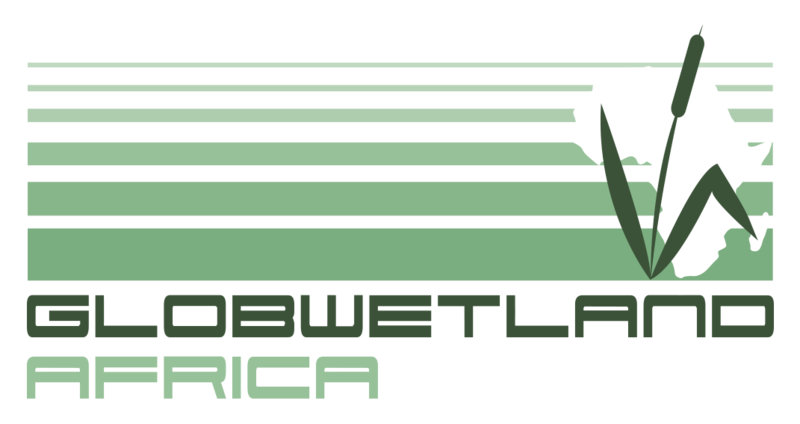 The GlobWetland Africa toolbox provides users with all the necessary functionality to monitor, assess and inventory wetlands and their adjacent uplands. This includes end-to-end processing workflows for wetland delineation, wetland habitat mapping, monitoring of inundation regimes and water quality and for river basin hydrology assessments.